PEARL HARBOR, Hawaii - Units from the U.S. military and Japan Self-Defense Force (JSDF) began exercise Keen Sword at military installations throughout Japan and surrounding waters, Oct. 29. The biennial exercise is the latest in a series of joint/bilateral field training exercises since 1986 designed to increase combat readiness and interoperability of U.S. forces and the JSDF. "Keen Sword will give U.S. and Japanese forces an opportunity to practice critical air, maritime and amphibious capabilities essential for Japan’s defense and for regional security," said Lt. Gen. Jerry P. Martinez, commander of U.S. Forces Japan. 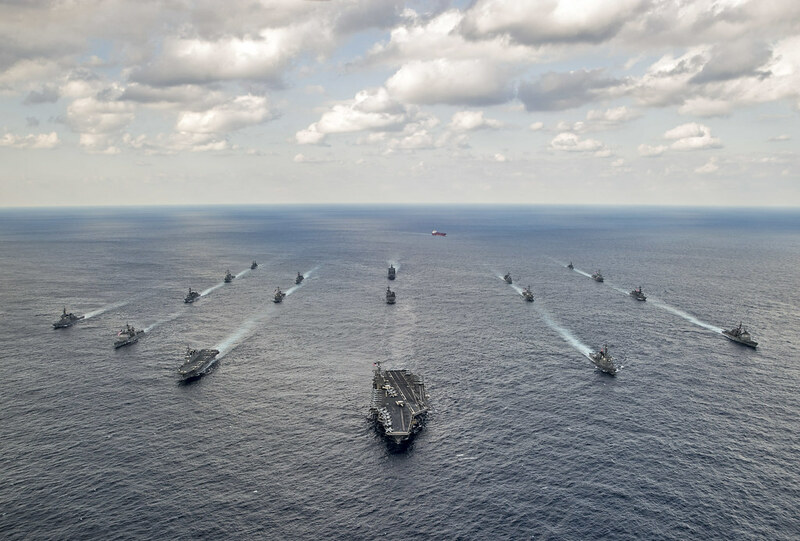 "Just as important, the exercise is a visible demonstration of the strength and durability of the U.S-Japan alliance and our shared pursuit of a free and open Indo-Pacific region." Approximately 10,000 U.S. service members from commands such as U.S. Pacific Fleet, U.S. Forces Japan, 7th Fleet, 5th Air Force, 374th Airlift Wing, 18th Wing, 35th Fighter Wing, and III Marine Expeditionary Force will take part. Two Royal Canadian Navy ships will participate in the maritime portion of the exercise for the first time, along with observers from several other partner nations. Martinez said, "These developments are a positive sign of our shared interest in expanding partnerships and increasing multilateral cooperation in the Indo-Pacific." The U.S.-Japan alliance has been the cornerstone of regional peace and security in the Indo-Pacific region for nearly 60 years, and events like Keen Sword ensure that we will remain ready for the next sixty years," Martinez added. Exercises like Keen Sword provide the JSDF and U.S. military opportunities to train together across a variety of mission areas in realistic scenarios to enhance crisis response capabilities. "On behalf of the 54,000 men and women of U.S. Forces Japan, I am proud to be a part of this alliance that is so essential to our two nations’ shared interests," Martinez said. "We look forward to working side by side with our Japanese allies to make this important bilateral exercise a success."